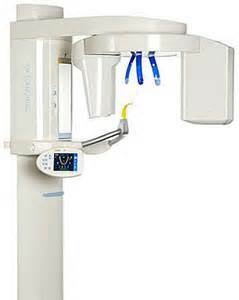 Calleros Dental is proud to be amongst the 1% of dentists who have chosen to incorporate 3-D cone beam imaging into their practice. 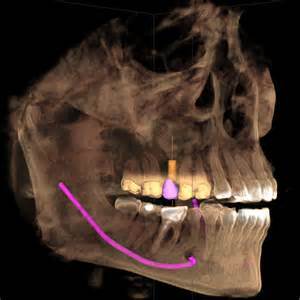 3-D cone beam imaging, also known as Cone Beam Computed Tomography (CBCT), has revolutionized the way dentists can gather information and deliver precise treatment. Traditional 2-D xrays can leave many factors to chance and are limited by distortion, magnification changes, restricted clarity, and lack of accuracy in measurements. The transformation from interpreting two-dimensional information to diagnosing from 3-D imaging is a drastic change and has forever altered the way we practice dentistry in our office. 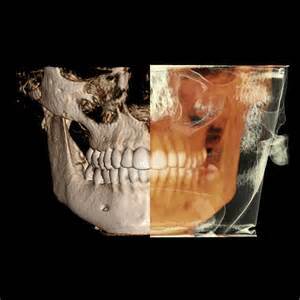 With this advanced technology we have the ability to visualize oral and facial structures in countless views, providing a whole picture to diagnose from. It is similar to medical CT scans in that both scans produce high quality images, however CBCT scans radiation dosage is 15 times lower than medical CT scans. 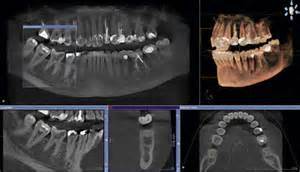 The process of taking a CBCT scan is very simple. All jewelry and glasses must be removed first. You will then be guided into the correct standing position in which you must hold very still. The xray source then rotates around your head for about 10 seconds capturing many images that will be combined to make a 3-D image. Once finished, we will analyze and review the image with you.